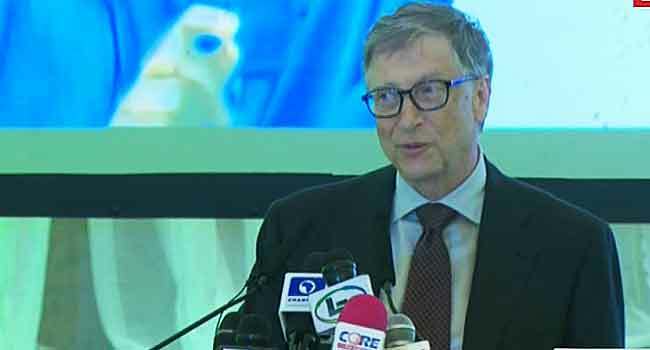 Philanthropist and Founder of Microsoft, Bill Gates has challenged the Nigerian government to invest in human capital development, saying it would lay a good foundation for the nation’s prosperity. He made this known on Thursday while delivering a speech at the Expanded National Economic Council on Investment in Human Capital held in Abuja. According to him, although Nigeria has enormous potentials, they can only be maximized when the citizens are well equipped. Making reference to the Economic Recovery and Growth Plan, he, therefore, urged the Federal Government to take practical steps in prioritising human capital development. “Nigeria has unmatched economic potentials but what becomes of that potential depends on the choices you make as Nigeria’s leaders. The most important choice you can make is to maximise your greatest resource – the Nigerian people. “Nigeria Will Thrive when every Nigerian Is able to thrive, If you invest in their health, education and opportunities, the human capital that we are talking about today, then that will lay the foundation for sustained prosperity. “If you don’t, however, it is important to recognise that there would be a sharp limit on how much the country can grow,” he stated. “Much of Nigeria still looks like a low-income country. Nigeria is one of the most dangerous places in the world to give birth. “With the fourth-worst maternal mortality rate in the world, ahead of only Sierra Leone, Central African Republic, and Chad. One in three Nigerian Children is chronically malnourished. “The Nigerian government’s Economic Recovery and Growth Plan identifies investing in our people as one of three strategic executives but the execution priorities don’t fully reflect people’s needs – prioritising physical capital over human capital,” he stated. 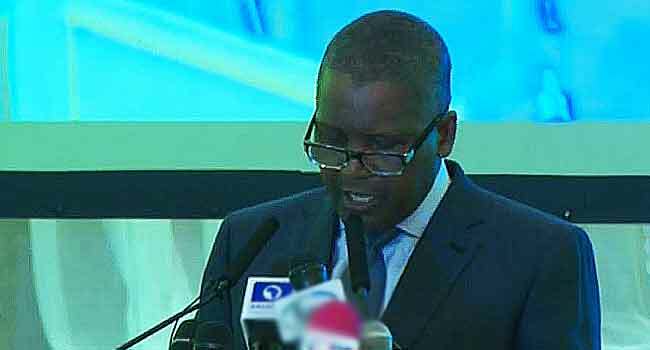 Also addressing the issue, President of the Dangote Group, Aliko Dangote, asked the Federal Government to provide solutions to human capital challenges experienced in the country. He stressed that human capital is a critical component of Nigeria’s future economic growth , noting that while the nation has largely achieved growth by extracting natural resources, the youths have to be equipped both physically and mentally to drive the nation’s future success. “In Nigeria, we have largely achieved growth by extracting natural resources and we’re not building on that through our physical infrastructure. But we must also remember that it is our young people that will drive our future success. “By 2050, Nigeria is projected to be the 3rd largest economy in the world. “For this next generation to thrive as adults and drive economic progress, we need to invest in their health and well-being and in their ability to learn and apply new skills. Speaking further, the business mogul explained how nutrition and infrastructural development also play a huge role in equipping the youth for the future. According to him, malnutrition has been identified as one of the biggest factors undermining the potentials of children and for Nigeria to be able to truly compete globally, we must prioritize investment in health, education and other key sectors. He said: “As a philanthropist and development expert, I have seen first-hand and critical gaps and proven interventions that can help set those young people up for success especially the poorest. “Today, one of the biggest factors undermining our progress is malnutrition. Poor nutrition prevents children from realizing their true potentials, stunting not only their physical and intellectual growth but also educational and employment opportunities. “As a business leader, I feel the consequences of malnutrition. An inadequately skilled workforce is a constraint to my businesses. Again as a philanthropist and development expert, it is the kind of challenge I am committed to helping solve. “By this, is where my two roles converge because all sectors, businesses, philanthropy and especially government will need to step up to address the human capital challenges we are now facing in Nigeria. “For Nigeria to truly compete globally, we must prioritize investment in the health, education, and opportunity of our people alongside other critical areas like infrastructure,” he stated.